Wolfe announced this past week that Alden Peters’ first-person documentary, Coming Out, will be making its DVD debut on Oct. 4. Alden Peters is a “filmmaker,” he holds a BFA in film production from New York University's Tisch School of the Arts and had done additional academic work at the Ludwig Foundation of Cuba in Havana, Cuba. All of this before embarking on a film career that has seen him work as a camera operator, a cinematographer, do some film editing and even production. He can be called something of a “jack of all trades” when it comes to the art of filmmaking; in a sense, he’s well grounded. Alden is also gay, but he discovered that there’s no school for “coming out.” He also discovered that there was precious little about the subject in his world of filmmaking beyond the dramatic stories. So he hits upon a novel idea, why not film the process … the result is Coming Out, a film which literally took on a life of its own over a period of several years. 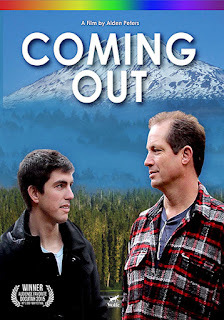 During the filmmaking process, he not only captured the revelations of his family members (some surprised, so not so much), but others within the LGBT community contributed their own experiences, which were incorporated into the narrative. 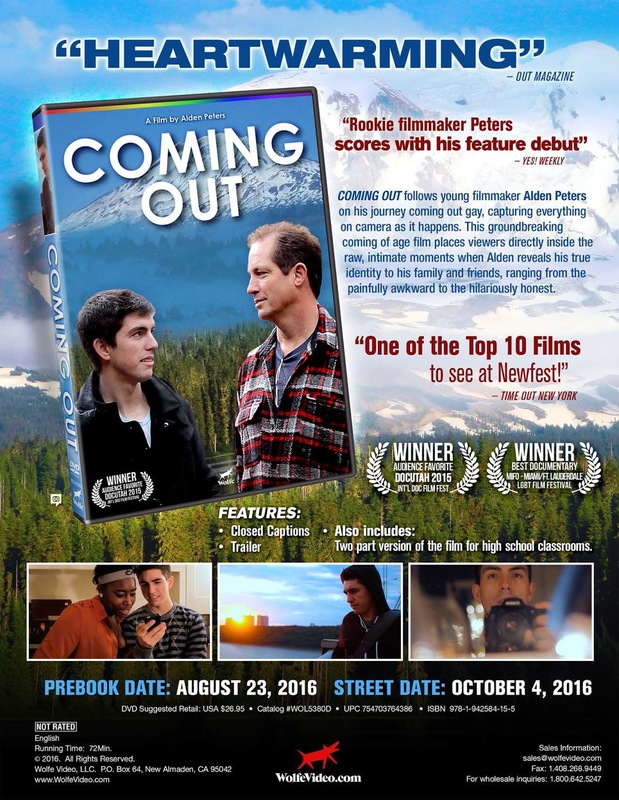 Overcoming self-imposed stereotypes and learned social pressures can be, for the individual, as daunting as an obstacle as simply saying, “I’m gay.” Alden’s film really gets to the core of that. The film has worked the festival circuit to great buzz and has wins at DocUtah, Ellensburg Film Festival, Festival MIX Milano and more. Wolfe is presenting two viewing options — the documentary itself and a two-part presentation of the content that is geared for classroom discussions. The more content posted from the report to the blog to Google-Plus, the greater the “reader” activity across the board. More reports downloaded, more hits at the “business blog” and it all seem to stem from the addition of the Google-Plus to the mix. 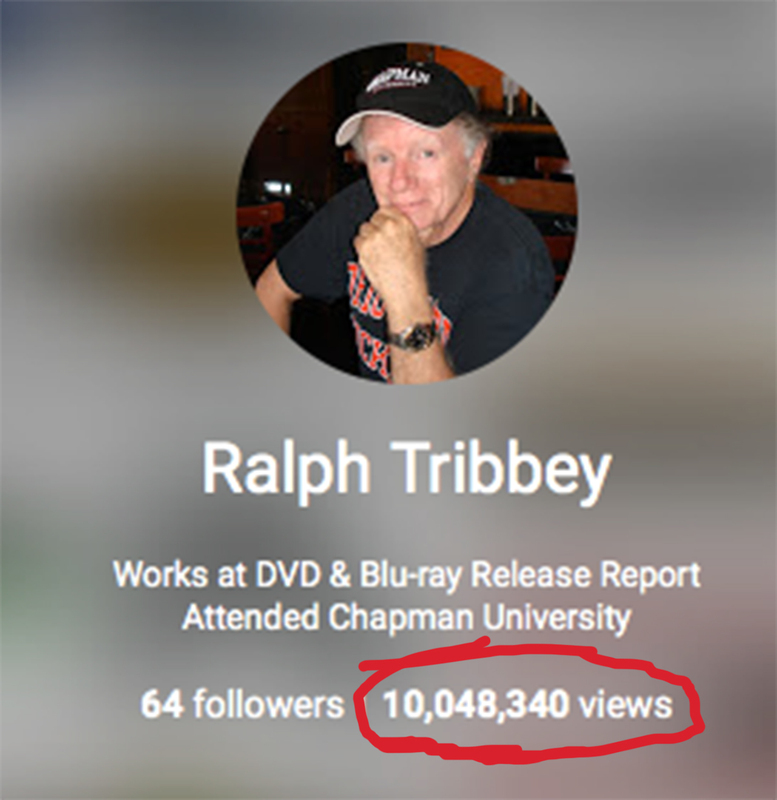 The DVD & Blu-ray Release Report hit the 10,000,000 mark for Google Plus views this past week. It’s an interesting milestone. It’s not like having ten million friends and it doesn’t really tell you how much content has been consumed by these 10,000,000 views, but it is still an impressive number, especially when you track it on a periodic basis and see it how it grows as more and more content is posted. 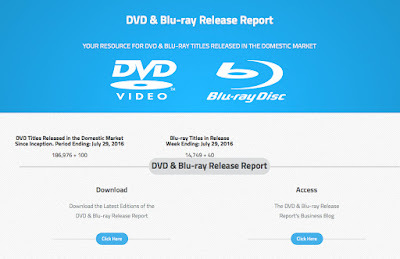 The DVD & Blu-ray Release Report began 1,012 editions ago — that’s 20 years of publishing — and the first two “views” were printed copies sent to Warren Lieberfarb and Paul Culberg. They were the first to show an interest in the gathering of release information for the newly-launched DVD format. So going from two “views” to 10,000,000 seems like an important milestone. To put the growth of readership of the report into context, I was working at Orion Pictures and Cabin Fever Entertainment as a consultant and this format was just getting off the ground (this is 1996) and for some odd reason it occurred to me that gathering release information from ground-zero would somehow be useful. The analogy being: if you walked up to a merry-go-round while it was stopped it would be easy to get on, find a horse and take a ride … once the ride was started, getting on would be more difficult. The first “sponsors” of the report were DVD replicators, who saw it as a promotional vehicle to entice VHS holdouts to enter the market — Nimbus, Technicolor, Deluxe and Media Copy were all sponsors at one point or another. By the time the report had grown to just over 300 industry executives, distributors, manufactures, PR people, etc. (it had no consumer reach back then), it became pretty obvious that a weekly printed version was way too cumbersome to continue on with. Fortunately, technology caught up and email and the web allowed for the conversion of the report into a pdf file, which was then distributed via email beginning at the end of 2003. Industry distribution grew, the different email groups expanded and expanded … and then came the complaints. “The file is too big, it is jamming my inbox.” It was only three to four MGs, but a file that large ten years ago was a big deal, so a new solution had to found for the distribution of the report on a weekly basis (you can manage the wave upon wave of new announcements on a monthly basis). A website was launched whose only purpose was to store copies of the report that could be downloaded. Each week the report was uploaded to the website in the form of a pdf file and then email alerts were sent out letting everyone know that the report was ready to be downloaded. This worked like a charm. Then in 2012, after hearing about such things, the editorial content of the report was gathering up and posted to a “business blog.” It didn’t cost anything, the work had already been done, so why not. At first there was very little activity. “WOW, we had a hit today for one of the new announcement stories!” That was another milestone, readership beyond the core industry group. The process was repeated over and over again. Report, upload, content re-posted to the business blog … wash, rinse, repeat. During the summer of 2013 a Google-Plus link was established. All content in the weekly pdf version of the report was posted to the “business blog” and then it would immediately appear as a Google-Plus posting. That lasted for just about four month and then in October of 2013 the download website literally blew up from the traffic being generated by Google-Plus. Meltdown! A new, beefier download website had to be launched. Problem solved. Last August (Aug. 7, 2015 to be exact), we took note of the Google-Plus view count since the summer of 2013 launch and it had reached 6.1 million. One year later we hit the 10 million mark (four million new views in one year). Thank you one and all, especially the sponsors for making The DVD & Blu-ray Release Report the only industry publication monitoring new DVD, Blu-ray and 4K Ultra HD releases that is published on a weekly basis … 20 years, 1,012 editions and ten million consumer views of the editorial content, those are very lovely milestones to have reached. And the download site is still handling the load! 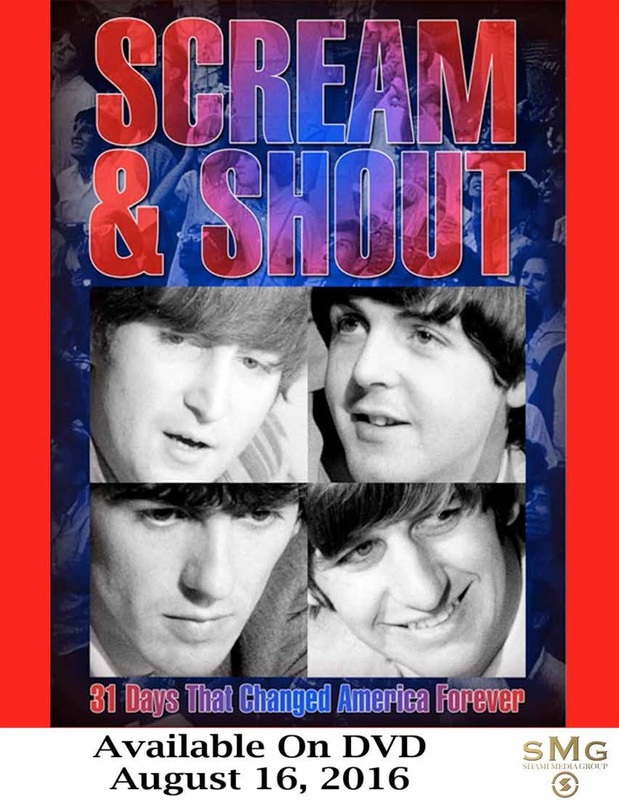 Documentary filmmaker Robert Greeson’s labor of love, The Beatles: Scream and Shout (aka: 31 Days that Changed American Forever) will be available for music fans — especially fans of the “Fab Four” — to enjoy on DVD on Aug. 16 courtesy of the Shami Media Group. MVD Entertainment Group will be providing its sales and distribution expertise. 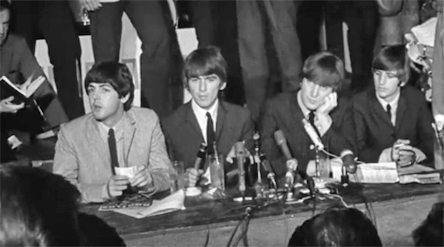 During the late summer of 1964 The Beatles returned to the United States — they had appeared on The Ed Sullivan Show on Feb. 9 — for a whirlwind 31-day concert tour. 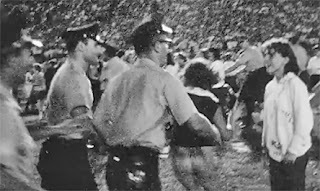 Filmmaker Robert Greeson has assembled both contemporary footage of fans (often screaming at decibel levels unsafe for human ears) and skeptics (some of the interviews are a real hoot), plus concert footage, to tell the story of this history-making string of live coast-to-coast concerts. The proceedings kick off on Aug. 19 at the Cow Palace in San Francisco. Although The Beatles were the headlines, this was more or less a typical rock’n’roll live concert presentation from the period … The Bill Black Combo, The Exciters (known for “Tell Him” and “Do-Wah-Diddy”), The Righteous Brothers (who were just starting out) and Jackie DeShannon (“Needles and Pins” was her 1963 hit) were also on the venue. The Beatles performed 12 songs to a sold-out Cow Palace (over 17,000 screaming fans) — songs included “Twist and Shout,” “All My Loving,” “She Loves You” and finishing up with “A Hard Day’s Night” and a cover of Little Richard’s “Long Tall Sally.” Of note, with few exceptions, these 12 numbers would be repeated throughout the tour. The next night they were in Las Vegas (arriving from San Francisco at one in the morning to be greeted by over 2,000 fans at McCarran Field). Promoters originally planned for a 700 seat showcase in the Congo Room at the Sahara Hotel, but were overwhelmed with the response and quickly moved the concert to the 8,000-seat Convention Center (two sold-out performances). Liberace greeted them backstage and it proved to be the only time that all four of The Beatles would perform together in Las Vegas. Hollywood Bowl, the Red Rocks Amphitheatre, Forest Hills, the State Fair Coliseum in Indianapolis — a jump up to Canada (Toronto and Montreal) — Baltimore, Pittsburgh, Cleveland, New Orleans (plus others) and finishing up at the Paramount Theatre in New York City on Sept. 20. The last stop on the tour was a charity concert benefiting United Cerebral Palsy of New York City. There were only 3,600 seats, but there were over 100,000 fans in the streets outside in Times Square. 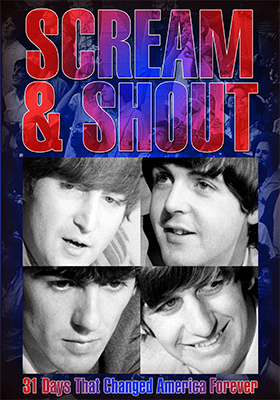 Beatlemania was born and Greeson captures this historic music moment with his film, The Beatles: Scream and Shout. 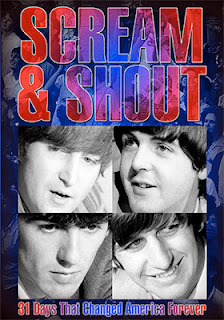 A must-own for Beatles fans! Paramount Home Media announced this past week that Leonardo, Raphael, Donatello and Michelangelo will return to the home entertainment arena on Sept. 20 in their latest live-action theatrical smash, Teenage Mutant Ninja Turtles: Out of the Shadows. 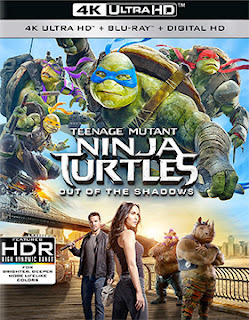 Planned for release are a four-SKU helping, including a 4K Ultra HD/Blu-ray Combo Pack edition, two Blu-ray/DVD Combo Packs (one with and one without a 3D viewing option) and a stand-alone DVD selection. The ARR comes in at 109 days and ticket sales were a robust $81.4 million. Shredder is in prison and the Teenage Mutant Ninja Turtles have returned to their subterranean home, but the serenity of the sewers doesn’t last long as a new force of evil is about to descend upon the earth … the dreaded Krang, an inter-dimensional alien! No sooner can you say “cowabunga” and we see Krang freeing Shredder and recruiting him to aid in his invasion of earth. Power corrupts, so he’s an easy recruit. Only three elements need be recovered and a portal to another dimension will be open, the “Technodrome” will be complete and end-times will be upon us! Krang has also given Shredder a potion that will allow him to recruit and transform mutants of his own — which he promptly uses on his henchmen Bebop (Gary Anthony Williams) and Rocksteady (Stephen Farrelly) — turning them into creatures that can easily handle the likes of Leonardo and his crew. Doomed? Nope!! April (Megan Fox) manages to steal the “mutagen” formula, gives her turtle friends the head’s up and makes an ally in the form of Casey Jones (played this time by Stephen Amell) … it’s now just a race — a non-stop action race at that — against time to stop Krang from bringing his plan to fruition. 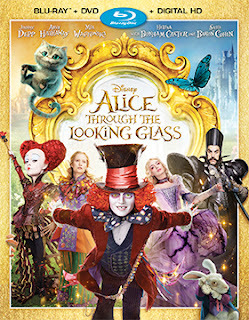 In other release news this week from Paramount Home Media, be sure to mark Oct. 4 on your DVD release calendar. 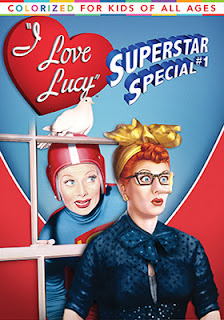 That’s the street date for I Love Lucy: Superstar Special #1. This release features newly colorized versions of “L.A. at Last” (first aired in February of 1955 and features Lucy’s hilarious run-in with William Holden at the Brown Derby) and “Lucy and Superman” (January of 1957, featuring George Reeves as the legendary Superman). Bonus features include additional footage and commentary from actors Doris Singleton, Keith Thibodeaux and Steve Kay. And, for those not into colorization, both of these classic I Love Lucy episodes can also be viewed in glorious black and white. MVD Entertainment Group will be guiding the Taylor and Dodge, LLC DVD debut of director James Camali’s A Fatal Obsession to market on Aug. 16. Christie Ryan (Tracy Nelson — perhaps best knows as Sister Stephanie Oskowski in the Father Dowling Mysteries television series; also daughter of Ricki Nelson) has it all, a nice home, a lovely daughter, Miri (played by Remington Moses — the daughter of Tracy Nelson and grand daughter of Ricki Nelson), and a famous horror writer for a husband. 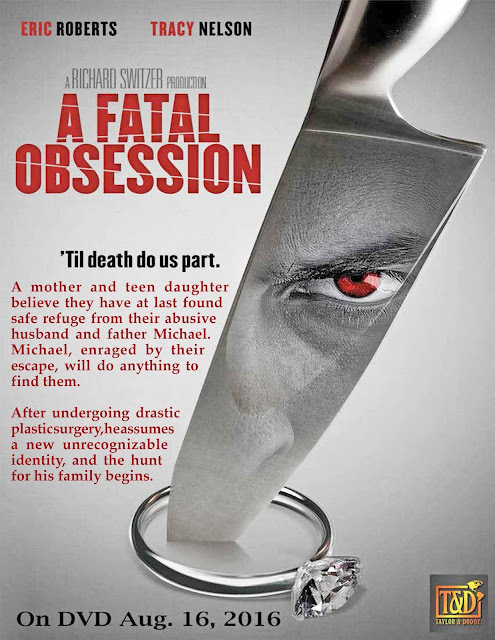 There’s just one little problem, her husband, Michael (Eric Roberts), is losing his mind to acute alcoholism and finally goes off his rocker. 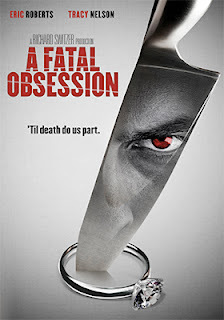 The target of his rage is his wife, who he suspects of having an affair and even though that’s not the case it doesn’t stop him from trying to kill her during a drunken rage (a beautifully played Eric Roberts derangement moment in which he seems to be channeling famed horror writer Stephen King). Miri intervenes, clocks dear old dad and both her and her mom make good their escape. Short film, right? Wrong. This is where it gets really twisted. Michael undergoes plastic surgery and becomes unrecognizable (which is handled nicely by having Mike DiGiacinto step into to play Roberts’ character in the second half of the film) and makes it his personal goal to track his wife and daughter down and finish what he started! Anyone who gets in the way better start digging their own grave. 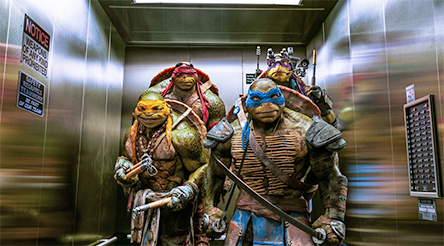 Warner Bros. Home Entertainment, after dropping in recent theatrical releases on its Blu-ray and DVD product calendar — Nice Guys (Aug. 23), Me Before You (Aug. 30) and Conjuring 2 (Sept. 13) — started laying down markers for the month of October with news this week that Mike & Molly: The Sixth and Final Season (a double-disc DVD set featuring all 13 episodes) will be available for fans to enjoy on Oct. 11. 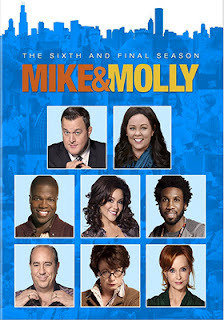 With Melissa McCarthy’s heavy theatrical schedule these days (plus a Gilmore Girls reunion mini-series in the works for Thanksgiving) it was only a matter of time before Molly Flynn would bid adieu. Walt Disney Studios Home Entertainment announced this past week that director James Bobin’s all-star special effects extravaganza, Alice Through the Looking Glass, will not be available as a 4K Ultra HD release on Oct. 18. 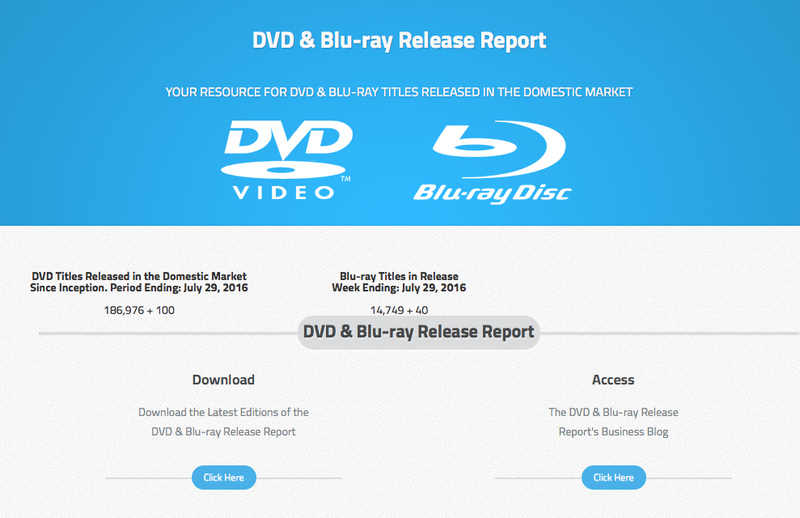 Only Blu-ray and DVD editions will be offered to consumers. The ARR is a leisurely 144 days and domestic ticket sales totaled $76.6 million. Bonus features, which are exclusive to the Blu-ray SKU include commentary from director James Bobin, deleted scenes, a half-dozen featurettes and the Pink “Just Like Fire” music video.